Once you’ve had your carpets cleaned there is nothing worse then a stain to ruin it. Kids running around spilling drinks and food or pets bringing in dirt or mud. 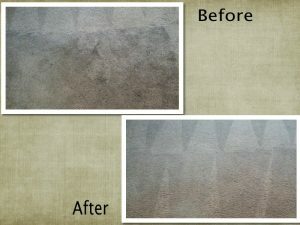 So how do you stop or at least help prevent stains from setting into your already cleaned carpet. Beyer Carpet Cleaning recommends their teflon carpet sealant to all their customers. Once your carpets have been cleaned they can lay down teflon sealant which can protect your carpets for up to 10 months and it doesn’t take long to put down. Within just a matter of minutes your carpet will be protected. You spend money to have carpet cleaning done so why not do all you can to keep what you paid for. Once the sealant is down and something spills on your carpets all you’ll have to do is blot it out with a wet warm white towel. Yes, it has to be a white towel because colored towels could potentially bleed into the carpet and cause further damage. Using white towels ensures this doesn’t happen. Once you blot the spill out heavily dry the spot with either another dry white towel or a vacuum. Make sure it is dried very well so the spill doesn’t have a chance to set into the carpet. Teflon sealant also isn’t expensive when you use Beyer Carpet Cleaning. They offer a great deal for teflon sealant. With every carpet cleaning Beyer Carpet Cleaning offers teflon sealant for $18.99 per room and if you choose to have 3 or more carpets sealed it’s only $16.99. 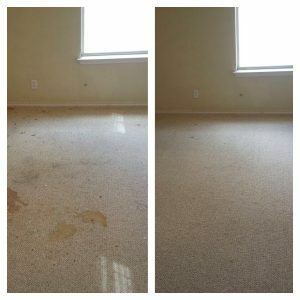 There are no other carpet cleaners in San Antonio that can offer this great of a deal for a product that will protect your carpets. Carpet cleaning isn’t cheap so do all you can to make that beautiful clean last longer.